The practice of meditation is an important step to increasing peace of mind, mental clarity, strength of mind and body. It is like a “vacation” or “tune up” for both mind and body since, during meditation, one’s body and mind relax deeply leaving the every day tensions behind. To begin your practice of meditation, I recommend that you create a time and space which is appropriate for your needs. Such as early AM before everyone in the household wakes up and in a quiet room or in an outside patio of your home. Otherwise, just before retiring sit in a chair or sofa where you will not be disturbed for at least 10-20 minutes to meditate quietly. Lying down will cause most people to fall asleep instead of meditating so I do not suggest this for beginners. Also, for a beginner, this amount of time is usually adequate. Later on, with increased practice, you can lengthen your time. 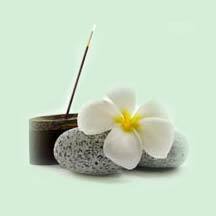 Preparation of a setting: I like to light a candle or incense or both to give a signal to my mind that this time is dedicated to meditate, to be still and quiet. Setting up a ritual like this is good to mentally prepare yourself for this process if possible try to be consistent with your practice being at the same time and place every day too. This will create in your mind a mental association so that it will become habitual and easier to follow. Focus on your breathing like the ocean waves in and out. Following this natural rhythm keeps you focused while each breath brings more relaxation to your body and mind. Listening to a guided meditation is the easiest way to begin to condition your mind to this practice. This approach keeps your mind also from getting distracted from your own thoughts jumping around also known as the “monkey mind”. It is the most challenging in the beginning of anyone’s practice to ignore your “mind chatter” and to allow yourself to be guided into a state of peaceful serenity. Not “DOING” (acting/reacting) and just “BEING” (still) is the goal of your practice of meditation. I have two guided meditation CDS available in the Online store each one has two meditations on each CD. Both CDs feature beautiful soothing music in the background. The rewards you will receive from meditating are many. You will feel more relaxed finding it easier to concentrate and focus on daily tasks. Your memory will improve and you will be less prone to getting easily upset or distracted. I even you use it to receive mental clarity for making an important decision by meditating on the issue or question.